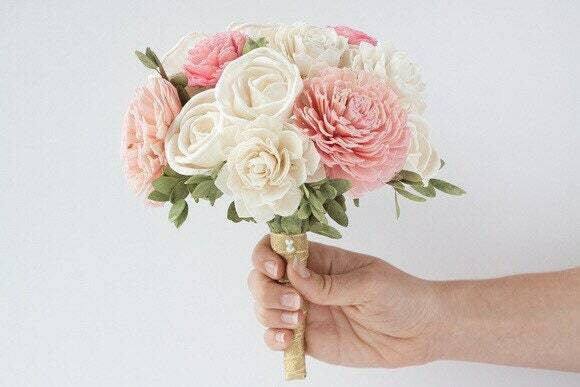 This is a great, small, bridesmaid bouquet for a pink color themed wedding. 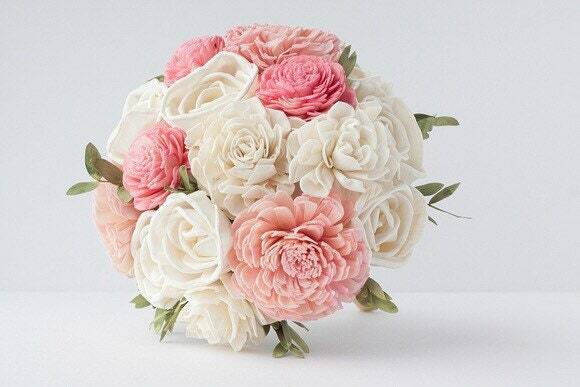 The bouquet is composed of ivory, pink and blush pink sola flowers. The bouquet is 6"-7" inches in diameter. 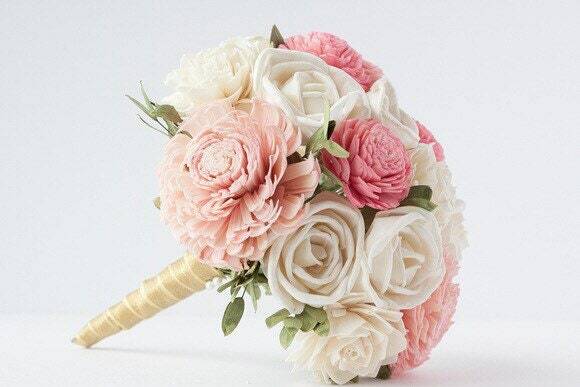 At checkout you may specify the color of ribbon you would like used on this bouquet. This is a "made to order" item. Turn around time is 2-3 weeks. However, if I have all supplies on hand, I will ship it out to you sooner. If you need it as a rushed order, please message me to see about the possibility. Sola flowers are handmade (not by me), out of soft tapioca or balsa wood. They feel like they are made out of a thick paper. Each flower will vary slightly and may have small, natural imperfections which are all part of their beauty. 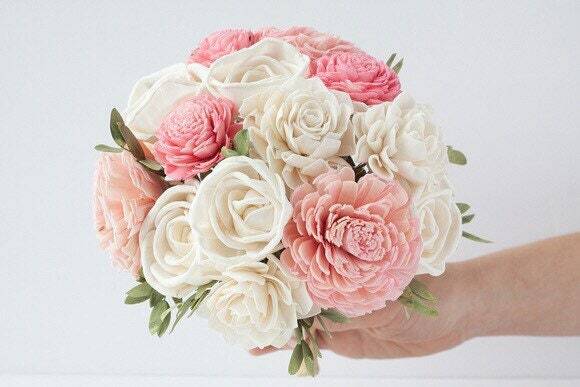 Preserved flowers are real flowers that have been dried and preserved professionally. The bouquet arrived today and is absolutely PERFECT! I am very happy with my purchase and will definitely order from the Seller again! Super cute! 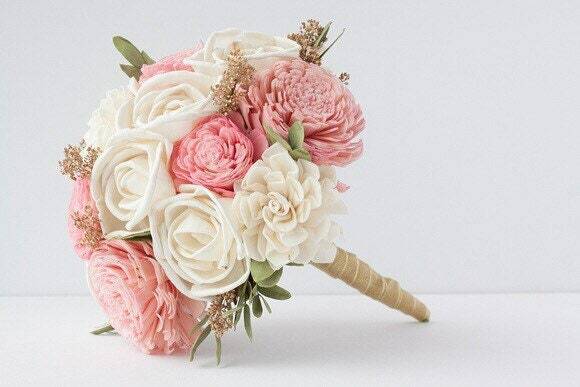 The colors in this bouquet are really cute! Hopefully the bridesmaids will like it!